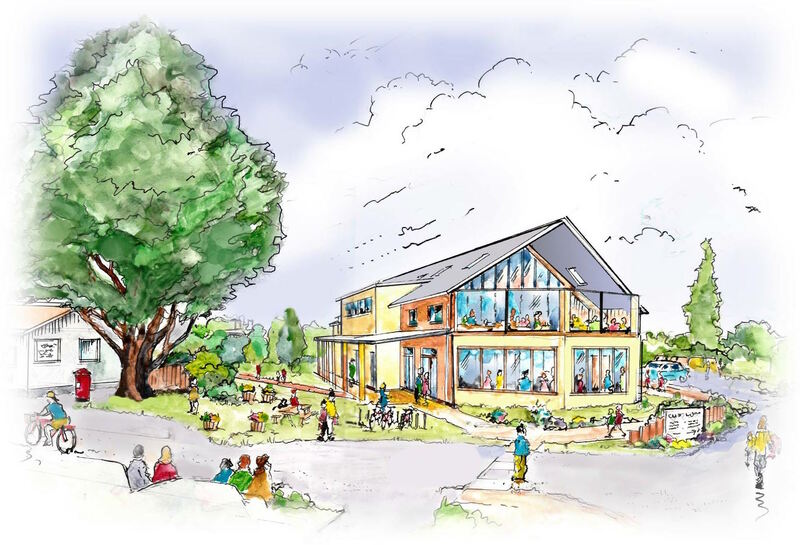 Situated at the entrance to The Park Ecovillage in Findhorn, the Welcome Centre is an exciting proposed development which will house the Phoenix shop, the Phoenix café and a visitor centre in a high eco-spec two storey building of approximately 875m2. The current shop, café and visitor centre are currently located in old buildings which were not designed for their current use and the new Welcome Centre will not only bring those functions into designed for purpose space, but will also integrate the three functions into one building for the first time, enabling significant synergy between each function. The new building will also see the visitor centre and the café significantly expanded from their current sizes. An independent feasibility study completed in February 2012, which covered both Park residents and the population of the wider area, identified a significant need for improvements in the shop, café and visitor centre areas. The Welcome Centre will deliver on all these points. In addition, it will bring a number of extra benefits to both local residents and visitors including: a warm and visible welcome for visitors; much improved information about the Community and local area; new audio visual facilities and meeting room spaces; complementary health treatment rooms; more employment and improved income for the Community. For more information about the project, you can view all documents presented to Park Planning Group here. Following that community consultation the project was referred back to the Central Area Development Group. We are awaiting further developments.